A desert cannibal and his clan attack a stranded Cleveland family. Directed by Wes Craven. This review is in regards to the new 4K restoration Blu-ray limited edition set that was released today. I had pre-ordered and received it today. First off, this has always been my favorite movie. I own multiple VHS versions, an original promo betamax tape, DVD, LaserDisc, and now this new Blu-ray. The restoration was well done and still holds much of the grittiness it previously had. It is nice to see the improvements made that make it much more clear than older runs. I do not like the new album art but Arrow Video was smart in allowing the actual cover art on the BR case to be reversible so you can have either the new or original artwork. Same with the included poster. The ~36 page book was a nice addition and thoroughly enjoyed reading it. And the little postcards were a nice addition as well. If you aren't a true strong fan of this movie, just buy the DVD, but for those of us who think this is a true classic, this set is a must have. 1970s gritty realism with a dash of the absurd to even things out. A great film that is reminiscint of The Texas Chainsaw Massacre but definitely has a unique vibe. Arrows edition looks great. That doesn't mean the film looks great or is demo worthy but it feels like an accurate reproduction of how the film should look. Very nice package with a poster. 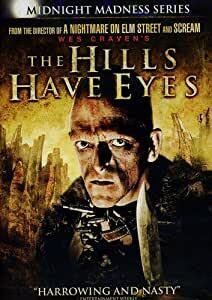 The Hills Have Eyes is one of Wes Craven's early work. And as Arrow has made a LTD Special Edition of it, it was worth it for me to buy it. Let's face it, having the film picture improved and having LOADS of extras with Arrow's editions is always nice!!! !